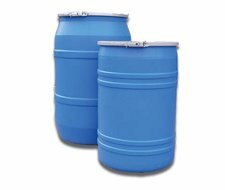 Plastic barrels are containers that are used to store both non-hazardous and hazardous liquid products. A plastic barrel must be made of the highest quality materials in the industry to be able to contain some of these fluids. Youngstown Barrel & Drum Co. offers all of the plastic barrels for sale that you will need. As a barrel manufacturer, Youngstown Barrel & Drum Co. offers the highest quality barrels on the market, and they offer them at an extremely affordable and competitive rate. Plastic barrels, sometimes referred to as plastic drums, can hold between 15 and 55 gallons of both non-hazardous and hazardous fluids. 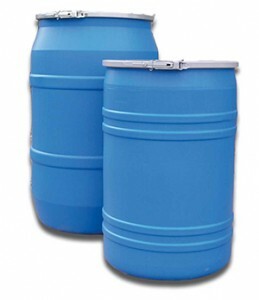 These blue plastic barrels are usually offered in three different sizes, 15, 30, and 55 gallons. You can also purchase these barrels in two different variations; open-head and tight-head. 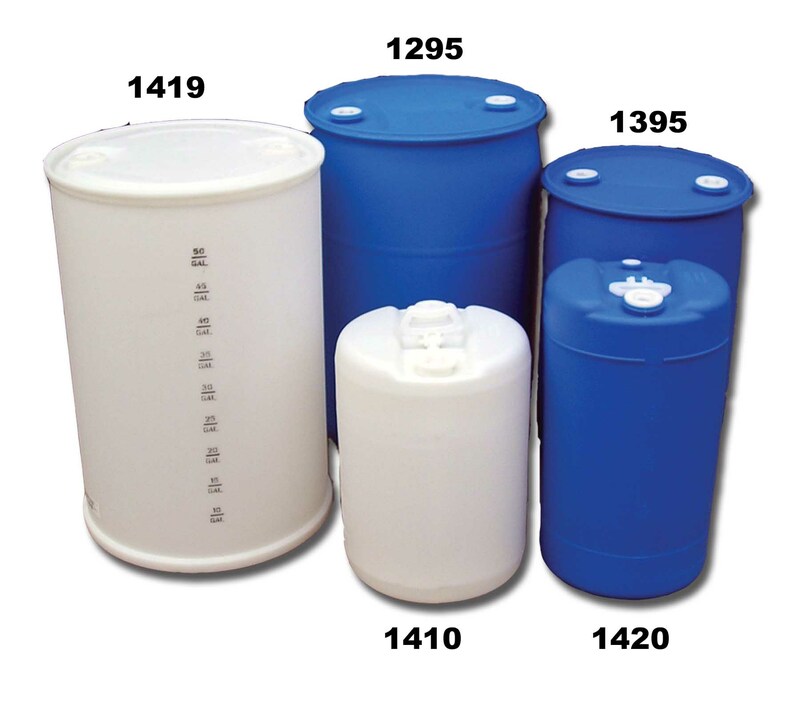 The steel barrel is the most frequently used shippings container for many chemicals and liquids in general. The 55-gallon barrel started to gain prominence during World War II. They were first developed by the Axis powers (Germany and Italy), but the allies quickly adopted it. The use of these barrels allowed the U.S. to win the Guadalcanal Campaign. It was hard for the U.S. Navy to have command of the sea at the time which made it difficult for them to offload aviation gasoline for different aircraft. What they ended up doing was getting the barrels onto a fast ship and having the ship drop off the barrels into the ocean. Gasoline is much less dense than water, so the barrels floated in the sea, allowing for the U.S. troops to pick them up. Plastic barrels that are used for industrial purposes are primarily made of high-density polyethylene (HDPE). These barrels are produced through a process that is commonly known as blow molding. Rotational molding is sometimes used to produce these barrels but is not as common due to the fact that there is a higher production cost to do this as opposed to blow molding. When looking for a plastic barrel for sale, it is important to choose the right one because if you choose the wrong one, the contents can get contaminated, failure of the drum may occur, you can get fines and penalties for noncompliance with regulations, or you can lose business for not being able to solve problems due to lack of knowledge. Where do you buy these plastic barrels with lids? Youngstown Barrel & Drum Co. is the company for you. Please give us a call so you can purchase barrels from one of the best plastic barrel manufacturers in the country. The tight head plastic barrel, or plastic drum, is used in various commercial and industrial applications. Our production process starts with the highest quality of materials which allows our barrels to store both hazardous and non-hazardous products. They are extremely cost-effective and easy to handle, enabling you to transport and ship them with extreme ease. For more information, please view our selection of tight head plastic barrels for sale. Each of our open head plastic barrels is produced with high-quality materials using the most advanced technology in the industry. Our plastic barrels are manufactured from a high-molecular-weight, high-density polyethylene, which makes them tough and rigid, allowing for easy handling and minimal shipping costs.